Having a cell phone aboard a boat can be a mixed blessing, boosting convenience and taking on a role as important boating safety equipment, but also becoming a serious irritant at times. Who doesn’t hate to hear that ring, when the rod’s bent over with a fish on the end of the line? Still, love it or hate it a cell phone can be an incredibly handy tool to have aboard – especially if you have these five top cell phone apps for boaters installed. You wish you had a personal knot-tying guide aboard, every time you fished? That’s exactly what Animated Knots by Grog provides. 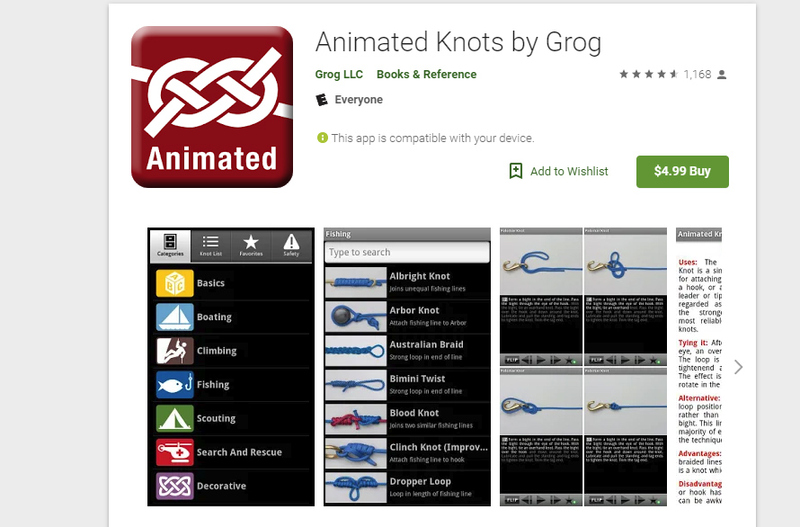 For the forgetful angler who wants to tie everything from a Bimini Twist to a Zeppelin Bend, Animated Knots by Grog is the perfect app. It was named Best Knot Tying App by Outdoors Magazine, and it’s no wonder why – step-by-step animations which you can go through frame-by-frame show you how each knot (well over 100 are in there) is tied. There’s also info on each knot’s best use, advantages, and disadvantages, and once downloaded this app works regardless of whether you have cell service or not. Note: this apps boasts a 4.6-star review average. Price: $4.99. SoCal anglers save more in fuel in one day, than the cost of a year’s membership. You say you’d rather drive straight to the fish, rather than wandering aimlessly around in the open Pacific looking for the next bite? Then Fishdope’s an app you need to know about. Available for iPhones on the App Store, it includes fishy features like sea surface temperature charts, daily fishing reports, real-time weather data, and bathymetric data on charts you can use to navigate to the hotspots. The new version 4.0 adds live VHF radio functions and greatly expanded chart options including route planning, thumbnails of satellite layers, hi-res bathy data, updated maps of closures and MPAs, and a five-day wind forecast. Price: It’s free, but you’ll also need a Fishdope subscription to reap the rewards of this app. There’s no cell phone app for boaters that’s more popular than Navionics. The Navionics app turns your phone into a full-blown chartplotter, and provides a fantastic back-up to your nav system or can even act as a primary system on small boats with no electronics (which stay within sight of land – we’d never recommend depending solely on a cell phone for navigation, as they’re simply not reliable enough). 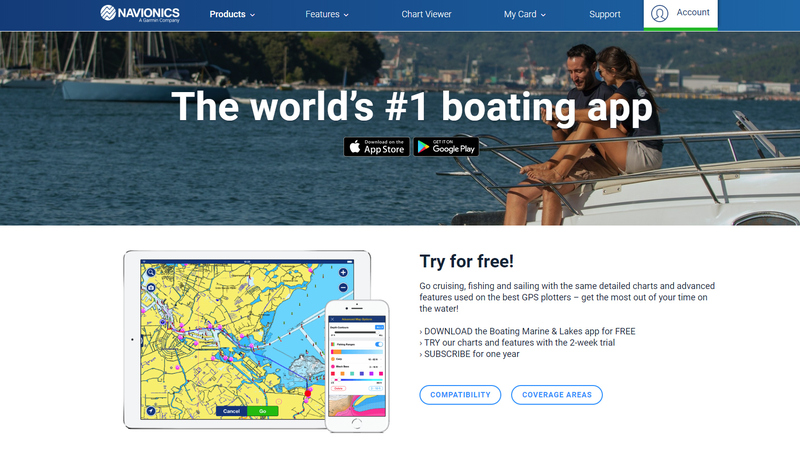 Navionics also boasts the title of being the world’s number-one boating app for both Apple and Android. Along with full navigation features it includes detailed chartography with the ability to constantly update, the ability to upload/download sonar data to improve chartographic detail and accuracy with the SonarChart feature, and can take advantage of the data uploaded by other users with Community Edits. Dock-to-Dock auto-routing, the ability to synch with your boat’s nav system, and world-wide coverage are all in the mix. Price: $14.99 and up (depending on area of coverage). 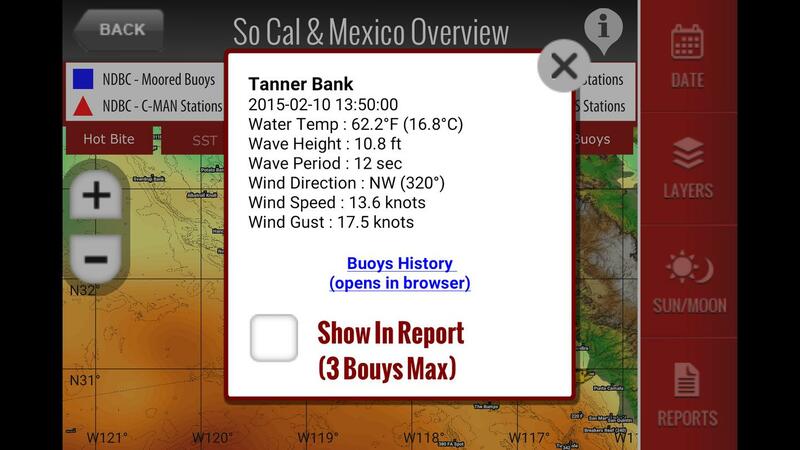 The ability to check current weather forecasts any time your boat’s within cell range is a big bonus. We’re leaving this general category open, because everyone seems to have their own favorite. 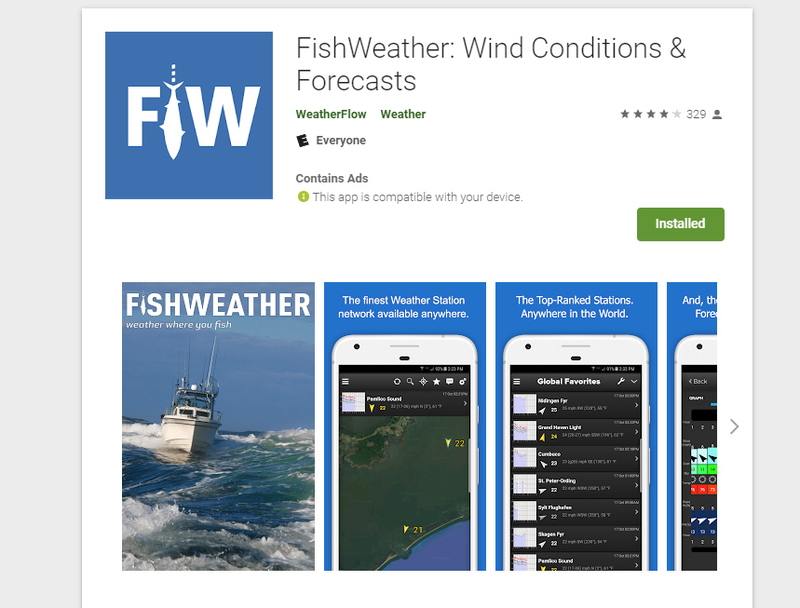 But whether it’s Fishweather, Bluefin Marine Weather, or the Weather Channel, having a weather app on your phone allows for constant checks on changing conditions. It can be incredibly useful for monitoring the weather radar when scattered thunderstorms are a possibility, or when shifting wind conditions play a role in where and how you’ll choose to fish through the course of a day. So whichever one you like most, install it on your phone and use it regularly. Price: Most basic versions are free, with charges for upgrades and in-app purchases. 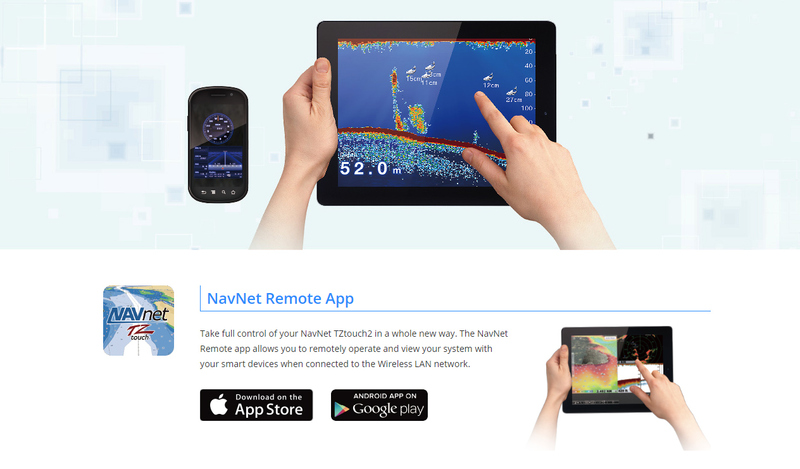 Apps put out by marine electronics manufacturers, like Furuno’s NavNat Remote app, allow you to remotely view and in some cases even control your electronics system on your phone. Members subscribing to each respective service will also want to get the BoatUS App or the Sea Tow App. Each makes calling for a tow boat faster and easier than the norm, since using the apps provides the dispatchers with your location and vessel information immediately upon contact. In fact, during a recent interview with one BoatUS tow boat captain he said using the app has become the very best way to call for a tow. Several marine electronics manufacturers now offer free apps that turn your phone into a repeater for your MFD. With one of these loaded on your phone you can climb into a tower with no electronics or stand on the bow and still monitor the fishfinder, chart plotter, or radar. 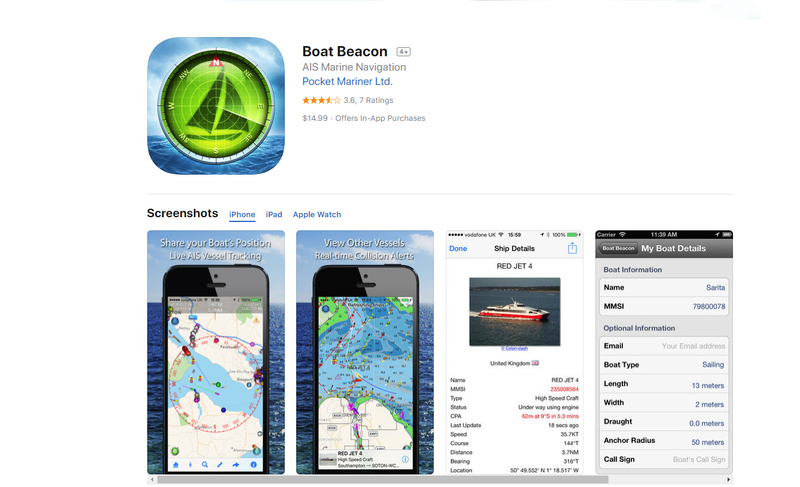 Several boat manufactures now have their own proprietary apps, too. These usually provide a digital owner’s manual for your boat, and often also include some basic boating information new owners may find helpful. Remote security and monitoring systems for boats, like those made by GOST Global and Siren Marine, often utilize a free app you can download onto your phone to “check in” on your boat’s status or location, at any time.